The One Poem Series is a collaboration between Kate Jordahl and Don Drake. The series contains 6 books created over three years. Each book is a dialog between one poem from a selected living poet and series of photographs from Kate's 40 year body of work. The hard bound edition is limited to 100 signed, numbered copies. 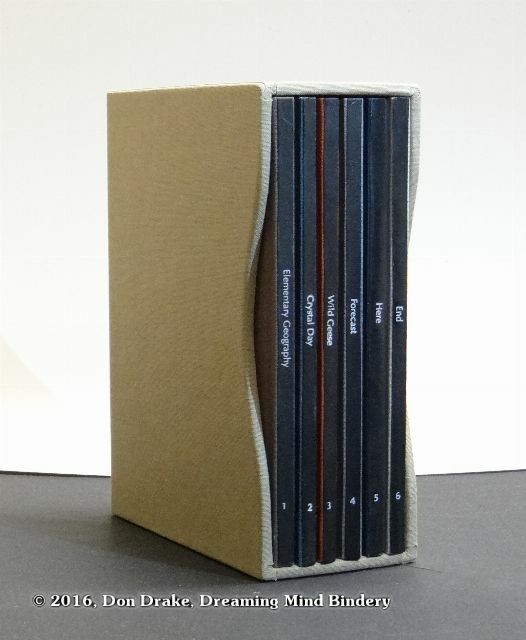 Each of the 6 books in this edition include one hand printed silver gelatin print from the book. The paper bound edition is limited to 300 signed, un-numbered copies. There are 400 unbound sheet sets available. Unbound sheets are un-signed and un-numbered. There are several options for purchasing the limited edition One Poem Books. You may subscribe to either the hard bound ($190/year) or paper bound edition ($65/year). Your subscription will bring you 2 books per year for 3 years. The first book will arrive in the month your subscription begins, with the second book arriving six months later. This pattern will continue to the end of series (book 6). 2 signed, numbered books per year for 3 years. Each book includes one silver gelatin print from the book.